San Francisco’s gentrification has reached a ridiculous new extreme, making it the most expensive city in the country,[i] outstripping even Manhattan, the home of Wall Street and its corporate tycoons. The affordability crisis is so extreme that many of those who rode into the Mission District on the first wave of gentrification, during the dotcom boom in the 90s, are now crying foul. Even they can’t afford the 2-bedroom apartment on Valencia Street renting for $11,500/month. [ii] They find themselves priced out of their lofts and community networks, by a whole new wave of highly paid tech workers who ride in on the Google bus every evening, driving rents and home prices to dizzying new heights. If a well-paid tech worker can’t stay in the Mission, what are the prospects for someone like Jessica, a student whose mother works as a janitor? Born living at 24th and Harrison, she came to Causa Justa :: Just Cause to find our what her family could do to keep their home. They battled valiantly, but were ultimately pushed out of their home of 23 years by an investor who forced them to accept a buy out, by threatening to Ellis Act the entire 9-unit building. Community is that palpable sense of connectedness you feel at the Palestinian-owned corner store on Mission Street. At the Spanish-only Thai grocer on 16th street, where decades-long neighbors run into each, buying freshly fried plantain chips made by a Honduran neighbor, hard-to-find Vietnamese hot sauce, or prickly delicious Rambutan fruit, while catchy Arab pop and Northern Mexican Rancheras blare onto the street. Community is the lunch counter that has served southern Barbeque to SRO residents ever since the days that same building was a tenement, housing African-American migrants who came here from the South to build the naval shipyard in Hunter’s Point. Their descendants are now scattered as far as Antioch and Sacramento, over-represented in homeless shelters, absent from the streets of the Fillmore, SF’s former center of Black culture, now decorated with painfully ironic “Jazz Legacy” street signs for tourists. [v] Community is the traditional Mexican Tres Leches cake the inter-racial queer couple buys at the Chinese bakery every year, wishing a transgender partner “Happy Birthday” to celebrate their gender transition. Community is the social fabric made up of each of these inter-twined threads. It’s not something you can put a price on. But there is a price – a huge price. In order to stay in San Francisco, Jessica’s family now pays 40% more for their housing. Did janitors’ wages go up 40% this year? Did the cost of living decrease 40%? Did mom-and-pop stores that serve families like Jessica’s get a 40% decrease in skyrocketing commercial rents, so they could lower prices? Not a chance. Instead, Jessica’s family makes it work the way thousands do, by living in more crowded, less habitable conditions, cutting costs on everything from healthcare, to transportation, to food. For the thousands of families like Jessica’s, the battle to expand tenant rights is more important than ever. Yes, building affordable housing is important. But, by itself, it is just not enough. Non-profit developers struggle to make ends meet and keep units off the market, and, ironically, they need to raise money from the very same corporate interests that are razing our communities. Inclusionary zoning – a few affordable units within huge market-rate developments – is at best a drop in the bucket, and, most often a window-dressing used to justify huge luxury developments that accelerate the pace of gentrification. While all of these reforms have a place in a larger strategy, tenant rights are crucial today more than ever. The single most aggressive way to increase affordability and defend thousands of working class families in San Francisco is to regulate the rental market. Last year, Causa Justa :: Just Cause lead an effort to win a “hassle-free” housing law -penalizing landlords who harass, making it harder for them to push working class people out & double the rents in gentrifying San Francisco. We also won a subjective battle. We proved to ourselves, to elected officials, and to our communities who are under attack that displacement is not inevitable, that regulations in market housing can curb displacement, and that impacted communities can lead the fight to build a different kind of San Francisco – one that holds community at its heart. Is it tech corporations, real estate developers, local government? Recent protests against the Google Bus highlighted this question, and made national headlines. Some blame tech workers – highly paid, primarily young white people who are pouring into long-time working class communities of color; workers who too often treat our communities like a colorful “ethnic” backdrop for their corporate lives. Some blame the real estate industry – the most active wing of the finance sector that has a stranglehold on California’s economy. The ruthless industry is famous for creating the foreclosure crisis, embodied now by “flippers” that circle like vultures around Mission District Victorians after a working class family has been evicted, setting up sandwich board signs that signal the conversion of a rent-controlled unit into a million-dollar condominium. This question came up at a meeting I recently attended, where Mission-district community-based organizations met with tech sector representatives, convened by District 9 Supervisor, David Campos. Google, Facebook, AirBnB, and a host of smaller crowd-source start-ups approached Supervisor Campos, wanting to fix the image problem tech has earned for itself in the Mission District. Rather than letting the big companies make a token gesture for PR purposes, to his credit, he brought mission community organizations together so we could express our concerns directly. It was enlightening, to say the least, to speak directly to representatives of these companies. I noticed that smaller start-ups tended to have a very different character than the big corporations. And yet, somehow, in the public eye, huge tech corporations retain a kind of “perpetual start-up” image – as if its passion, creativity, genius, that drives them, not the billions of dollars they make in profit. A little research revealed that the giant tech corporations are, in fact, known for cartel-like behavior. A huge lawsuit is currently pending, seeking compensation for tens of thousands of engineers whose wages were kept artificially low. CEO’s from Google, Apple, Intel, and Adobe are being sued for violating the Anti-Trust Act, conspiring with each other so that none of them would recruit engineers at each other’s companies with higher wages, thus repressing engineer wages throughout the industry in order to increase profits. [vi] Not to mention wi-fi buses that shuttle workers from SF to Silicon Valley squeeze at least two more hours of work out of each employee. It was ironic, then, to hear company reps defend tech employees from community criticism. If you wanted your employees to be treated more respectfully, shouldn’t you start by doing so, yourself? Both the Tech and the Real Estate Industries have to take responsibility for the affordability crisis in San Francisco. Blaming Real Estate is an easy out for Tech companies that claim to be “innovating for social good” but ignore the impact their boardrooms of innovation have on surrounding communities. Meanwhile, Real Estate happily lets Tech workers take the blame for their reckless profiteering, hiding behind the myth that the housing market is some kind of force of nature, instead of a real time series of power relationships that human beings have responsibility for. In the background of each wave of gentrification, each massive increase in rents, each conversion of a rent-controlled apartment into a luxury condominium is an incredibly powerful finance industry that shapes not just San Francisco, but California as a whole. Who will defend the heart of San Francisco? Local governments need to step up to the challenge of holding corporations accountable. Accepting gifts from Tech Industry tycoons as a way to let them avoid real taxation is neither sustainable as a strategy, nor defensible morally. Letting Real Estate throw in a couple affordable units as a way to avoid real regulation in the housing market is not just insufficient to meet the affordability needs – it’s fueling the displacement of working class communities of color. In his “State of the City” address, Mayor Ed Lee promised to defend tenant protections, fight the Ellis Act, and build affordable housing. Without a strategy of corporate accountability, these promises will be impossible to keep. What does the city gain by depriving itself of tax revenue? Billions of dollars come through San Francisco this way, pushing working class communities out and filtering into private hands. Promising to provide “Housing for All” without an aggressive corporate accountability strategy is like handing out free umbrellas in the face of a Tsunami. And it’s bigger than just the Mayor. Every one of us has a role to play in the battle for the heart of San Francisco. Concerned individuals, direct action collectives, neighborhood associations, small businesses committed to the community, tech workers exploited by their bosses, we all have a responsibility. 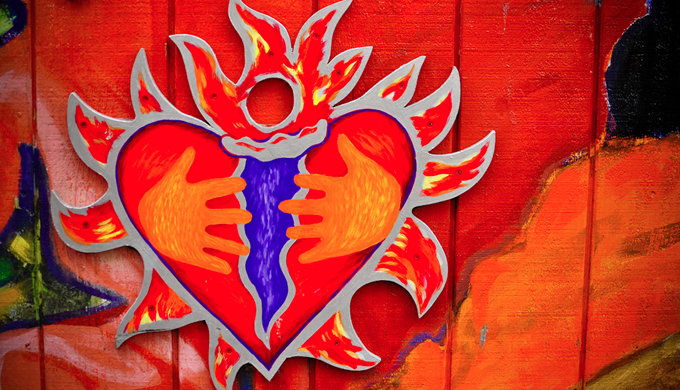 Causa Justa :: Just Cause organizes people like Jessica, people directly impacted by the crisis, who instead of being victims are, through community struggle, becoming protagonists in the fight for the heart of San Francisco. We know that supporting grassroots leadership is the only way we will change the balance of power in the long term, and we built an organization to play that role in the movement. And there are many more roles to play – from legal and policy work, to direct action in the streets, to building affordable housing, to cultural and community healing work. If we work together, we are stronger. As we learned in the late 90s in the mission, we must work together at a scale bigger than any one neighborhood if we are to contend with the powerful forces driving gentrification. 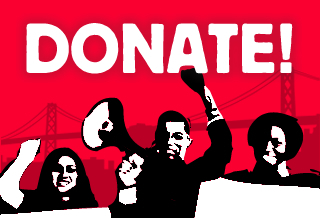 Today, we have citywide organizations like San Francisco Rising and the San Francisco Anti-Displacement Coalition, poised to fight the battle for the heart of San Francisco. If local government isn’t representing us well, then we can make ourselves heard – at the ballot box, in the streets, at corporate headquarters and bus stops, in church halls and city hall. Gentrification is not natural. Displacement is not inevitable. Everyday people, when we come together, can change the course of history. Join Jessica, and hundreds of impacted tenants as we come together to build grassroots power, Sat, Feb 8th, at the citywide San Francisco tenant convention! Live elsewhere in California? Sign the petition to repeal the Ellis Act.